Landlord Representation and Project leasing services serve property owners of existing and planned developments. These services include the development of a marketing and advertizing strategy, considering tenant mix, market demographics, economic conditions, exclusives, lease requirements, available space, condition of space, tenant space requirements, and property management concerns. Our marketing and advertizing strategy generates exposure to client properties by utilizing the most widely used property databases and multiple listing services available in the market. 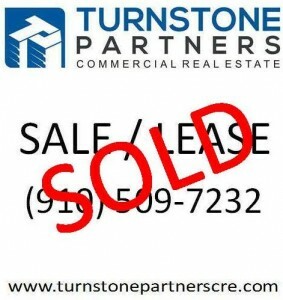 Also, Turnstone Partners distributes property information to commercial real estate professionals throughout the markets our client’s properties are located. Cooperating with other brokers is a key success factor in facilitating new leases, expansions and renewals. Additional exposure is achieved by canvassing the market and by working closely with economic development organizations and site selection groups that service local, regional and national markets. Tenant retention and cost savings are also critical efforts exerted by Turnstone Partners to maximize the value and returns of our clients properties. At every step of a project leasing assignment, Turnstone is committed to limiting vacancy and maximizing the opportunities to assist customers to succeed in business at the properties we represent. Please contact Turnstone Partners if you own property and or are developing property and want to discuss our Project Leasing services.